TL:DR: (Too Long, didn´t read): Bitmex is banning US users because of the regulatory uncertainty for the exchange. Just recently, the website 1Broker.com has been taken down because they did not exclude US traders. If you want to use Bitmex despite being in the US, you can use a VPN service like ExpressVPN or CyberghostVPN for a few bucks a month. You simply connect to a server in a different country and tunnel all your data throughthat coutry – and Bitmex does not see that you are using it from the US. But be aware that this is not allowed by Bitmex, even though they can not do something about it yet. If they find out that you access their platform from the US, they will block your account immediately and your funds might be lost. We do not recommend using Bitmex in restricted countries! This article is for information only, dont risk your funds and your account. Did you know that BitMEX.com is considered one of the largest margin trading website for Bitcoin in 2018? At the time this article is written the data provided in coinmarketcap.com is astonishing! Their daily volume of BTC trades averages at around $3 billion dollars! That means that they are able to process orders fast and in huge quantities, making them (if not) one of the best ones out there today. Not all traders know about the amazing features and services that they provide, and today we will be talking about that in accordance to why US traders are banned and how people are going about it. Being a website that does not accept US traders raise questions like “What about the largest BTC trading country in the world?” –Questions like this naturally end up being posted on the internet and people are left wondering, why did they ban US citizens? We will be tackling this question today and hope to shed light about the issue behind one of the greatest BTC margin trading websites today. Why are US customers not allowed to trade in BitMEX anymore? If you are active in the BTC trading world then you would know why US customers are not allowed to trade in BitMEX.com. For people that are still scratching their heads then it would be our pleasure to explain everything to you. We all know that BTC or cryptocurrencies, in general, are designed to be anonymous right? This means that they are basically an unregulated currency being moved around by certain groups or communities that use them as an alternative to Fiat currencies. The problem here is that governments do not like that; specifically the United States government. Without the proper regulation of tax, people will be able to hide their actual assets through crypto wallets, roll them through exchange/trading websites and get off with tax evasion easily without anyone knowing what you are doing. Without proper regulation, it becomes something illegal and as we all know, this is something that the US government turn their heads to the opposite side with. But why ban the largest population that’s trading BTC? Simple, because they are citizens of the country that has been hunting down exchange websites that are not complying with their country’s trading rules; specifically the KYC/AML banking regulations that the US has. So instead of attacking the countries that do not let them operate properly, they just simply ban people from that specific country to create an account with them to avoid further escalating the issue. Bottom line is that if you are trading crypto’s you become a target for the US government unless you abide by their rules and regulations. Why are traders in general and people from the United States flock BitMEX.com for trading like bees are attracted to flowers? This is because the website does not ask for your ID in order for you to create an account and start trading. Compared to other websites today that offer leverage trading, by default they will be asking for your credentials the moment you create an account with them. With BitMEX.com you can be whoever you want to be thus keeping your trading history a secret to prying government eyes that might be watching your move. Though when it comes to anonymity, it’s a double-edged sword that’s why people do not want to be associated with them. If you do not want to be branded as a tax-evader then why trade on anonymous websites that support identity cloaking? This means that you do have something to hide from the authorities or if we look into it more lightly, you just do not want anyone finding out how much money you are losing with crypto trading. It doesn’t matter what your views or reasons are for using anonymous trading websites, it does attract a lot of attention both from customers and governments alike. The website does include in their terms & conditions that they may require ID verification from any of their customers (randomly) if they see fit. There is a lot of noise regarding this issue but they haven’t been enforcing this rule; which is a plus for people that want to try their website out. Since we’re talking about anonymity, it couldn’t be avoided that we talk about the website’s security. 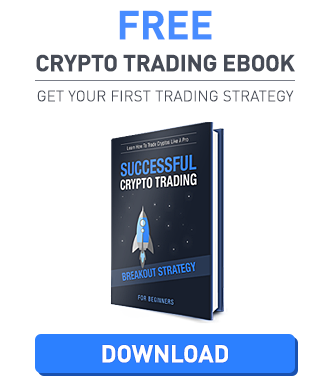 People might think that these websites are designed to cater to anonymous trading, meaning that they do not care about security. Well, it’s actually the opposite of that. BitMEX.com has never been hacked which says a lot about a generally anonymous trading website. But what type of security do they offer? First, they do have the 2 Factor Authentication capabilities which most of the trading/exchange websites today have. Under the My Account tab, users will be able to choose from two different supported 2FA types namely: Google Authenticator and Yubikey, both of these options are amazing at what they can provide to your account. Not only 2FA, but the website also offers IP Pinning is an additional feature that when turned on, forces your account to log out once it detects a sudden change in IP. This means that you are not using a static IP Address or using a mobile connection (that usually disconnects every now and then) we recommend turning this off to avoid unwanted disconnections. They also offer Safe Session Duration which again, disconnects the connection every ten minutes to ensure that your account is not compromised if you are not actively using the computer or device. This can again be turned off if you are constantly in front of your computer. Last but not the least, the website offers PGP Key for people that want to have encrypted email using a public PGP key. What are people doing to bypass this issue? We have read a lot about this issue from different websites with people talking about bypassing this issue with the use of a VPN. But what is a VPN? For the traders that are successfully using VPN as part of their daily trade routine, it is a life saver, it is something that hides their identity, and last but not the least, it helps them gain profit by skipping laws and jumping over geographical restrictions. Let us take a look into this bypass by US citizens that are still using the services provided by BitMEX.com and surpassing all the access issues being experienced by others that are still in the dark. But first, what is a VPN and how do people go past the geographical restrictions made by websites that do not want to deal with citizens from a country that despises their business? A Virtual Private Network or VPN for short is used by people to either hide their identity over the internet by masking their IP address or using the VPN to go past restrictions (like the one by BitMEX) and continue what has been removed a year ago. Since the banning of US citizens by BitMEX in 2017, some that have been using their services and just cannot let go of the website decided to use VPN’s to continue their trade. What’s amazing is that these VPN services do not cost that much and yearly subscriptions are so cheap (for the services they offer) that you wouldn’t even notice the monthly bill. Cheapest VPN’s cost at around $2.00 per month up to $8.00 depending on the services and the number of devices you will be able to use under one account. Different services also provide mobile and PC accounts making it easier for people to switch between platforms and continue trading no matter where they are. It may be seen as an additional cost to your monthly bill but if you are trading on one of the best exchange/trading websites out there today then you might just sweep the cost under the rug when it comes to profit counting. We can recommend VPN services like the premium service ExpressVPN or CyberghostVPN for people on a budget. We just want to put it out there, we do not support what they do since it’s basically illegal but these traders are doing something innovative just to trade on the website that they previously had access with. But are you part of a country that completely bans the use of such software? Please be read more about VPN’s since not all countries from the world are cool with it. Generally, VPN’s are not allowed in China, Iraq, Turkey, UAE, Oman, Belarus, Iran, Russia, Turkmenistan, and North Korea. If you already know how VPN works then you can completely skip this segment on move over to the next one below. We would just like to explain the technicalities on how VPN works, in general, to shed light on people that are interested in getting one. FREE VPN – Yes, there is such a thing as a Free VPN. The problem with Free VPN is that what is it for them? One question that you need to put in mind is that are they selling your logs to the black market to use it for something much larger? In addition, free VPN services do not provide as many features as the paid ones, which makes it a no-brainer to go for paid VPN services instead of using free ones. If you just want something that will mask your identity for short periods of time then go for Free VPN’s. If you are looking for something long term then why not for those $3.00 monthly plans? Mobile Access – As mentioned earlier, VPN services today provide mobile access and supports Android and iOS operating systems; making it easier for everyone. VPN Protocols – If you plan to get VPN to make sure that you read about the protocols that they support. You should read more about PPTP, SSTP, L2TP, IKEV2, and last but not the least, Open VPN. Protocols, in general, are the basis of their security, speed, and sometimes both. This means that if you know about these protocols you will be able to choose if you want more security over the internet or speed that helps you browse anonymously with speed. Real world use – Aside from trading on exchanges that do not allow your location to create an account; people will also be able to use VPN and incorporate it with their daily lives. Did you know that online websites keep track of your activities? This is why you see marketing banners coincidentally at a point on what you are interested in. Data collected through websites can be used against you in order for these websites to make money and with VPN’s you will be able to dodge that easily without any issues at all. 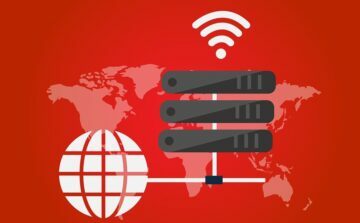 What VPN Services to use? We can recommend the services of the premium provider ExpressVPN or CyberghostVPN if you are on a budget. When will BitMEX be available to US citizens again? As much as everyone wants this to happen, there isn’t any sign showing on neither the website nor the US government regarding their stance on the issue. This means that it can go either way and most likely will be taken off in the future; but who knows? People really want to trade through their website without going through obstacles and using force (VPN’s) just to enjoy the services that one website provides. BitMEX.com has obviously banned United States citizens by creating an account with them but there are no other implications that they have also done this with other countries. As far as we know, they have only banned the US and everyone outside the country is able to create an account with them. 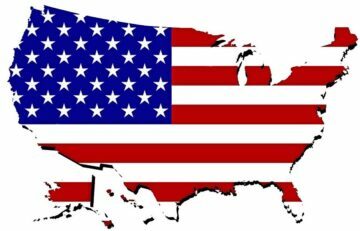 We have come to the conclusion that if you do want to trade in BitMEX.com and you are from the United States then you have two options. First would be to wait until the ban has been lifted or, join the thousands of people that are bypassing this issue with VPN services. Either way, this shows how people are interested in trading with BitMEX due to the services that they offer to their customers. If you decide to bypass the ban via VPN, make sure to withdraw your precious bitcoin as soon as possible after your trades. Bitmex reserves the right to lock accounts and ask for proof of residence any time, so be careful. We do not recommend using Bitmex in restricted countries! This article is for information purposes only, dont risk your funds and your account.